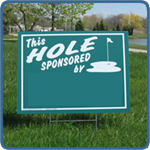 Wholesale Golf Outing Signs and Golf Hole Sponsor Signs. 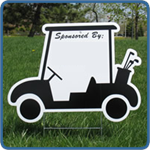 Have a customer in need for signs for a golf outing? 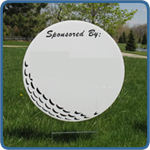 Buy pre-printed golf signs today and just add vinyl names. All designs are in stock and ship out in about 1 business day. 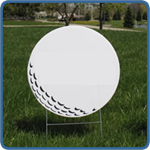 With wholesale golf outing blanks, you can offer your customer a completly custom product in just a few days. 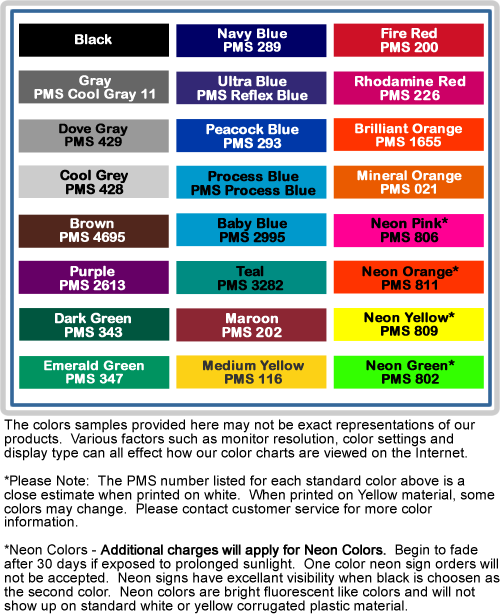 Now you can offer quick golf signs!